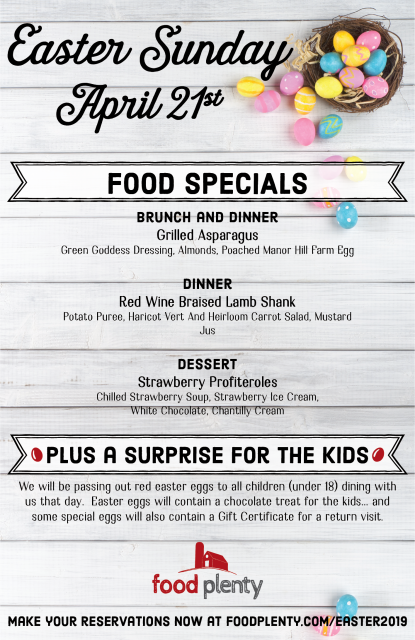 Easter brunch & dinner specials. plus a surprise for the kids! We will offer our normal brunch (11 am – 2 pm) and dinner (5 pm – 10 pm) service as well as these amazing Chef Specials! 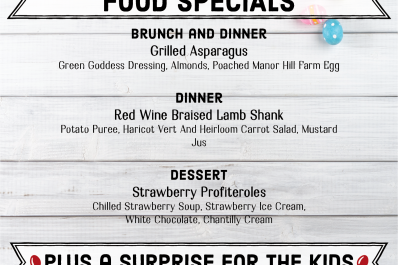 Any children (18 and under) who come into the restaurant that day will get a red Easter Egg with a small chocolate treat inside. Some eggs will also have a gift card for a future visit!